private Pilates sessions and group mat classes! Pilates is a form of exercise that emphasizes breathing, neutral alignment and core stability. Pilates exercises were created many years ago by Joseph Pilates and have been adapted overtime to meet our current fitness and rehabilitation needs. It can help improve body awareness, core strength, posture, overall strength, and flexibility. The clinic will provide all equipment necessary for your workout as well as towels, changing room, bathroom and water. All levels are welcome. No previous experience required. Private sessions are the most effective way to learn Pilates. Each private session is individually tailored to meet the needs, goals, and interests of every student. Whether you have experience in Pilates or it is your first time, a one-on-one session is a great way to add variety to your routine or introduce yourself to the basics of Pilates. Sessions are performed on a Balanced Body reformer and tower apparatus which allows you to perform more exercises than a traditional mat class. The individual attention allows your instructor to make appropriate modifications to an exercise to ensure the most effective program for you. Mat classes are a great way to practice Pilates and increase core stability by using your own body to create a fun, challenging workout. The workout is designed to strengthen your deep core muscles, increase body awareness, improve posture and overall strength and flexibility. Other equipment such as magic circles, toning balls, bands, and foam rolls may be used to add variety or intensity to the workout. Mat classes are limited to 4-5 participants so it is important to call ahead to reserve your space. Call ahead to reserve your space as class sizes are limited! 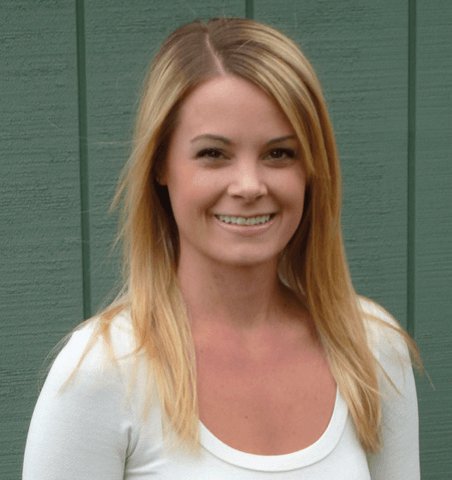 Katie is a STOTT PILATES® Certified Instructor and physical therapy aide at Eastside Physical Therapy. She received her Bachelor of Science in Exercise Science from Central Washington University in Ellensburg, Washington. She has worked in outpatient physical therapy for six years and developed a passion for teaching Pilates. Her specialties include mat and reformer repertoire with a focus on breathing, neutral alignment, and core stability. Katie loves being outdoors, horseback riding, camping, yoga, traveling, and spending time with friends and family, especially her husband and their dog, Moose. Call to schedule your Pilates Session today!